If you are in a graphic or web design, you make sites or you like to make nice headlines in Photoshop, you probably saw some good font somewhere and wondered how to check font. You can easily find out this if you ask the author, but while you wait for the answer, try to find out for yourself. Here’s how to see which font is in the picture or website. The situation for this font recognition is as follows: You have a picture with a font that you like, you do not know what font is, and you want to find out. 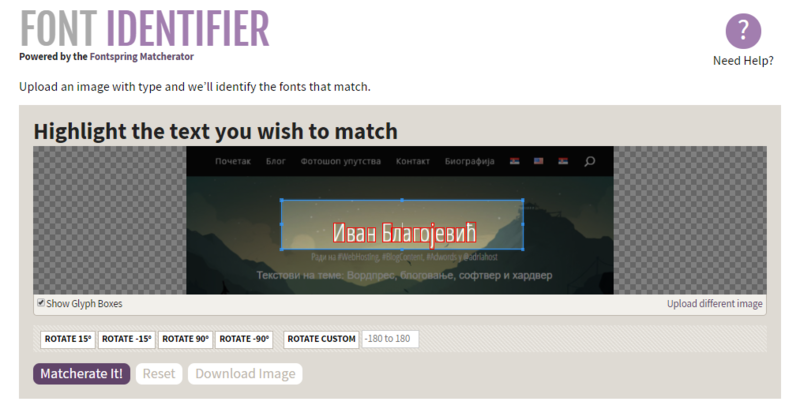 Go here: FONT IDENTIFIER. 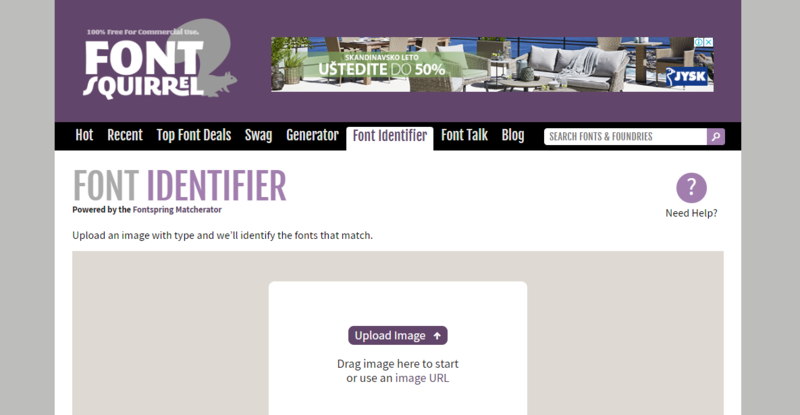 You need to upload an image with a mysterious font on this site and mark which font you want to be explored. When the image upload is completed, you can change the dimensions of this blue rectangle until you include the font you want to be tested. When you do, click on Matcherate it! You will quickly see the results of the fonts below. This method can be useful if you want to see which font is used on a flyer, a magazine, or any picture. You can even take pictures of a font by phone and place it here to see what the font is. I will note that this site does not always work 100% accurate, but it can be useful. In the worst case, it can give you several types of similar fonts, but it’s not bad. If you have seen the site on which there is a great font that you plan to use, ask the author about which font is. However, while you wait, try the Gugl Chrome plugin for detecting fonts on sites. Go now to the site your font is interested in. Click the What Font – find font icon and go over the fonts from the site page – you will see the font names in the bubble that opens. If you want to see more information about the font, click on the desired font. Once you see what the font is, you can easily access it further. Then you can download the font you want or include on your site. When you read this text and try out what I have written, do not forget to type in a similar search to Google and see what others say about this and how to find all the font detection tools. To me, these two ways are quite useful in the work I do, so I did not explore further.